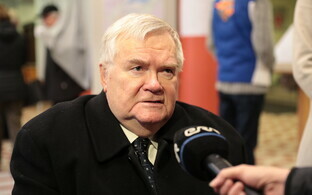 Rahvarinne, the Estonian Popular Front, was a movement in opposition to the ruling Soviet power in the Estonian SSR that formed after future Prime Minister and long-time Center Party Chairman Edgar Savisaar called for a legal and democratic opposition to the ruling communists on a live TV show on April 13, 1988. This call to action turned out to be decisive in Estonia's struggle for the restoration of its independence. 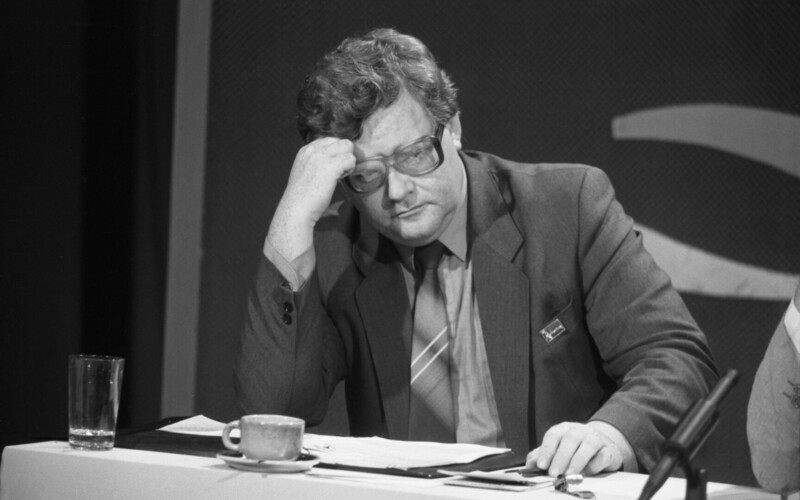 By the time Savisaar floated the idea of the Popular Front, reformism and opposition against the Soviet powers in Estonia had already been around for a few years. Following Mikhail Gorbachev's rise to power in March 1985, voices calling for change had been heard across the Soviet Union, and Estonia was no exception. 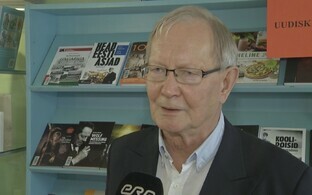 The top echelons of the Communist Party of Estonia around its secretary general, Karl Vaino, rejected Gorbachev's reformist policies. As Perestroika gained momentum, a movement formed in Estonia that opposed the Soviet plan to expand phosphorite mining in the country's Northeast on a massive scale. From 1986 to 1987, the independent environmentalist organization that came together this way became increasingly political. The Soviet authorities eventually abandoned their plan to strip-mine vast areas of what today are Lääne-Viru and Ida-Viru Counties. Encouraged by this success, political dissidents founded a new group that demanded the publication in full of the Molotov-Ribbentrop Pact. The agreement, signed by the foreign ministers of Stalin and Hitler on Aug. 23, 1939, included a secret protocol that divided Europe between Nazi Germany and the Soviet Union and set in motion the events that led to the eventual occupation and annexation of Estonia. Even after Stalin's death and the revision of the Soviet Union's ideological and political positions that followed, the USSR had never officially recognized the existence of the agreement: after all, to legitimize the commmunist-led coups in the Baltic states and the subsequent annexation of Lithuania, Latvia, and Estonia, the Soviet takeover of this northeastern corner of Europe needed to at least look voluntary. The group managed to meet in Tallinn's Hirvepark on Aug. 23, 1987 without the Soviet authorities intervening. This encouraged the Estonian opposition further. Eesti Muinsuskaitse Selts) was founded shortly after. Emboldened by its precursors, it openly called for democratic rights and national sovereignty for Estonia. The Soviet authorities violently broke up a demonstration organized by the group in Tartu in 1988. In August of the same year, the Estonian National Independence Party (Eesti Rahvusliku Sõltumatuse Partei, or ERSP) was founded. Along with the Estonian Heritage Protection Society, it demanded the recognition of the Treaty of Tartu, in which the Soviet Union recognized the Republic of Estonia "for all times," the Declaration of Independence of Feb. 24, 1918, and the March Deportations of 1949. 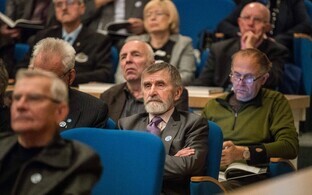 In early April 1988, days before Savisaar's call for the foundation of the Popular Front, Estonian intellectuals publicly demanded democratic change and the resignation of Communist Party Secretary General Karl Vaino as well as Bruno Saul, at the time nominally heading the government of the Estonian SSR. The Estonian Popular Front was officially founded on Oct. 1-2, 1988, but calls for renewed Estonian independence could be heard that summer already. Karl Vaino resigned on June 16, to be replaced by Vaino Väljas. On June 17, the Popular Front organized a mass demonstration at Tallinn's Song Festival Grounds. More than 150,000 people showed up, singing Estonian patriotic songs, including the national anthem of the Republic, and waved the Estonian flag. What has since become known as the Singing Revolution clearly stated its demands to the Soviet power: independence, and democracy. On Sept. 11, 1988, the Popular Front assembled more than 300,000 people, or one third of the country's total population, for its Eesti Laul ("Estonian Song") demonstration. While the Communist Party and Soviet authorities reacted by fostering a second popular movement directed against the Popular Front that was intended to support Soviet power and uphold the status of Estonia as a socialist Soviet republic, the country's move towards its first free elections since the first Soviet occupation in World War II was well underway. In January 1989, the Supreme Soviet of the Estonian SSR passed a law that restored Estonian as the country's official language. Feb. 24, the Republic of Estonia's Independence Day, was made an official public holiday again, and on Feb. 23, the Estonian flag flew on Tallinn's Tall Hermann tower again. Along with its sister organizations in Latvia and Lithuania, the Popular Front organized the Baltic Way on Aug. 23 of that year. Some two million people joined their hands to form a human chain 675.5 kilometers (419.7 miles) long across all three Baltic states, peacefully demanding their countries' independence from the Soviet Union. As the Soviet Union invariably headed towards its collapse, Estonia held a popular referendum on national independence in March 1991. 77.7 percent of its population voted in favor. 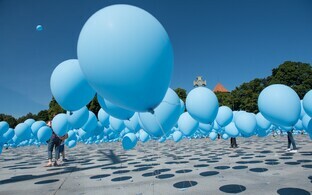 Estonia declared the restoration of its independence on Aug. 20, 1991.